From convincing sceptical bond investors that the fiscal deficit can be contained to concerns that El Nino will devastate agricultural crops, any new government in India will face urgent and critical challenges with no easy solutions. Expectations the Bharatiya Janata Party and its leader Narendra Modi will win elections that started this week with a new approach to India’s economic problems have helped send shares to record highs and the rupee to an eight-month peak.To some investors that optimism is misplaced. 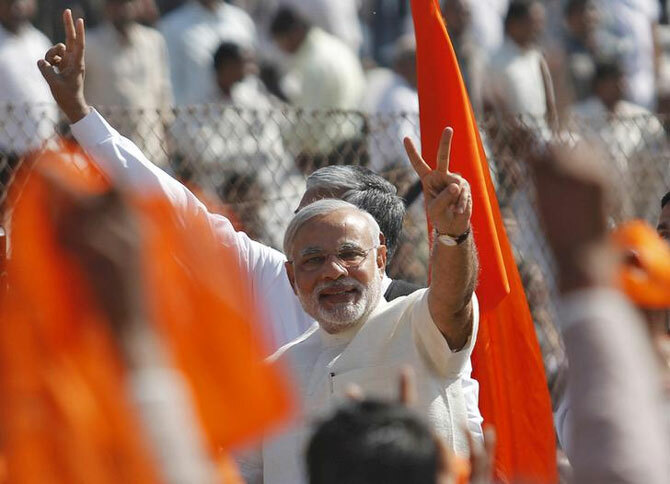 Image: It is expected that Bharatiya Janata Party and its leader Narendra Modi will win elections. 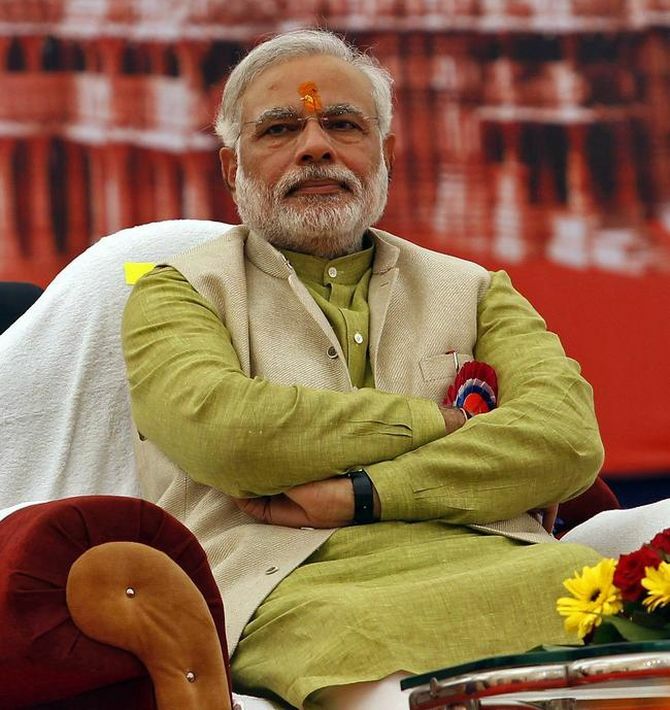 Should Modi win the elections, his government will face its first credibility test with markets when he delivers a budget by June or July that will need to show the country can realistically contain its fiscal deficit. That will be followed by key decisions on the current account deficit, on the relationship with a hawkish Reserve Bank of India, on how much funds to sink into troubled state lenders, and on how to get states to promote private investments. The BJP promised fiscal discipline and banking reforms among other policy plans when it announced its election manifesto on Monday, but gave no details. Below are five key challenges facing a new government, none of them easy to fix. Any new government will need to fix finances that are in dire straits, and about to get worse. 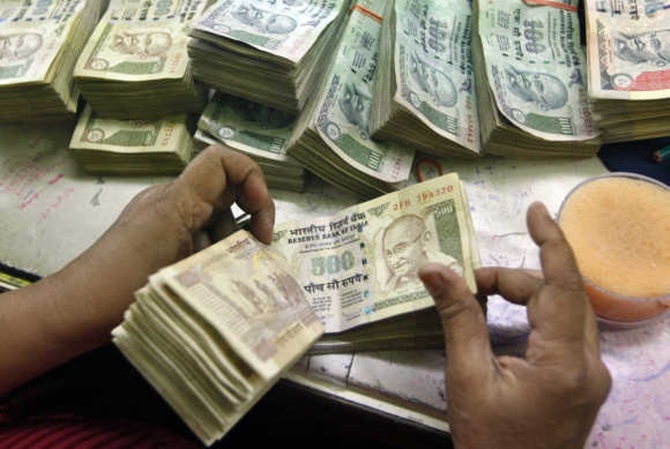 To achieve a revised fiscal deficit target of 4.6 per cent of gross domestic product for the year ended in March, the Congress-led government cut spending by $13 billion and pushed about $16 billion in subsidy costs into the new year. That austerity could prove hard to sustain. 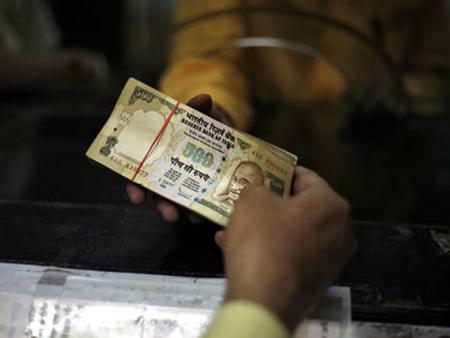 Spending accounts for 11 percent of India's GDP, offering a critical growth lever. Continuing to defer payments to state-run companies that would compensate them for selling fuel, fertiliser and food below market prices, can create havoc with their finances and make them rely on borrowings to fund operations. Image: Any new government will need to fix finances that are in dire straits, and about to get worse. Meanwhile, tax revenues are unlikely to recover immediately in a weak economy. The government's tax-to-GDP ratio has slipped to 10.2 percent from a peak of 12.5 per cent in 2007/08. The interim budget from Finance Minister P Chidambaram in February was greeted with widespread scepticism. It sought, for example, seek to contain the fiscal deficit at 4.1 percent of GDP in 2014/15, the lowest in seven years, while keeping spending growth at just 10.9 per cent compared to a recent average of about 15 per cent. Finance ministers in the past six years have sold an ever-growing amount of debt to bond investors, a solution unlikely to please markets as it pushes liabilities to the future. A realistic and fiscally prudent budget is also critical given Standard & Poor's Ratings Services has a negative outlook on its ‘BBB-minus’ rating for India, and has said the policy agenda from a new government will determine whether the country can avert a downgrade to ‘junk’. A sharp narrowing in the current account deficit, to an expected 2 per cent of GDP from a record high 4.8 per cent in the previous fiscal year, was helped by steps to curb gold imports. Higher duties and other restrictions almost halved gold imports but the moves have been deeply unpopular with Indian households who invest in the yellow metal to protect their savings from inflation and to provide gifts at weddings and on other special occasions. Gold smuggling is also suspected to have surged after the measures, casting doubt on the reported data. The BJP has promised to review gold import duties within three months of coming to power. Getting rid of them may please gold buyers, but not investors, as concerns about the current account deficit had sent the rupee to a record low in August. Fixing the structural challenges that keep the current account deficit wide -- such as weak manufacturing exports -- could take years to reverse. 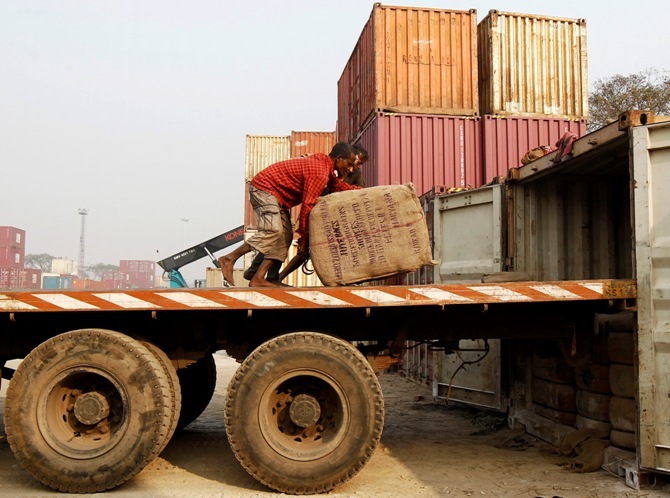 Image: Labourers unload goods from a trailer at a port in Kolkata January 10, 2014. A new government may face a factor beyond its control: the El Nino weather pattern typically associated with weak rains. Analysts caution El Nino could batter Indian agricultural output. Citigroup estimates that below average rainfall in the June-September monsoon could shave 0.50-0.90 percentage points off its economic growth forecast and lead to a spike in consumer inflation. A good monsoon last year was one spot of relief in an otherwise bleak economic picture with growth estimated at less that 5 percent in the fiscal year that ended on March 31, close to the slowest in a decade. Surging inflation could also spark tension with a central bank that under Governor Raghuram Rajan has made containing inflation a priority. The Reserve Bank of India wants to bring down annual consumer price inflation to around 6 percent from the current 8.1 percent by January 2016, which would likely mean more interest rate increases. The RBI has raised rates three times since September. 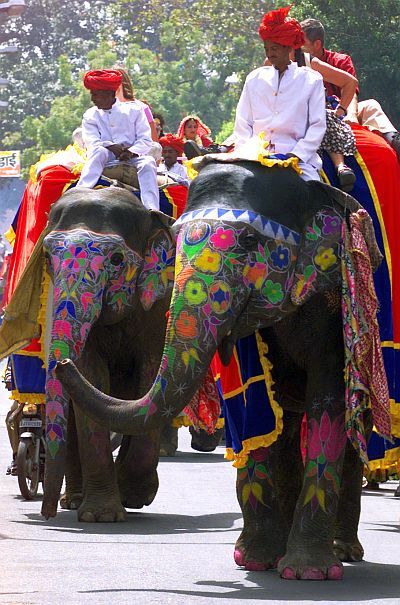 Image: Decorated elephants walk on a street during the Elephant Festival in Jaipur. 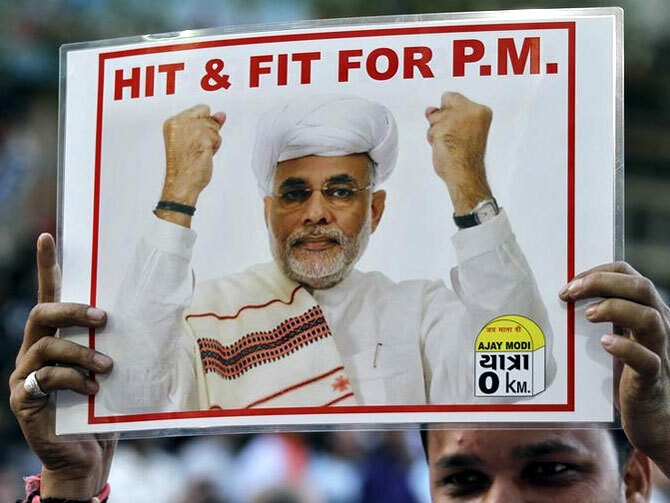 Market hopes on Modi lie largely on perceptions of his track record as chief minister in Gujarat, where he is widely credited with attracting investment. However, analysts say replicating that nationwide would be difficult given that states wield much of the power in approving projects. Credit Suisse estimates only one-fourth of pending projects depend on central government approval. In its manifesto, the BJP promised to cut red tape and encourage foreign investment in sectors needed for job and asset creation. But it said it was opposed to foreign investment in multi-brand retail. 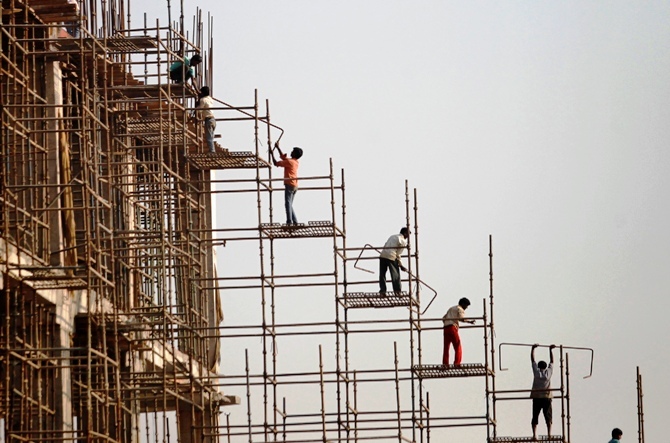 Capital investment contributes nearly 35 per cent to India’s economy, but it barely grew in the fiscal year that ended in March as delays in clearances and funding issues grounded many infrastructure projects. That is particularly the case with state electricity boards, which remain hobbled by losses caused in part by costly fuel and little pricing power. Short of recapitalising state utilities, the central government has few choices in pushing for a restructuring. Coal supply is also a key constraint, in large part due to the financial difficulties at state power generators. Image: Market hopes on Modi lie largely on perceptions of his track record as chief minister in Gujarat. India needs to fix the piles of bad loans at the country's state-run lenders, with stressed loans totalling $100 billion, or about 10 percent of all loans. The bulk of these bad loans are related to infrastructure projects, which have made banks circumspect in lending. The BJP has tended to lean towards privatisation, raising the prospect of stake sales, although the party has not addressed the issue in the run-up to the polls.